The National Baptist Laymen’s Movement of the National Baptist Convention U.S.A., Inc. was organized at the Forty-third Session of the National Baptist Convention in Los Angeles, California, in 1923. The new President of the Convention, Dr. L.K. Williams presided. The Movement came into existence under the leadership of Deacon John L. Webb, a Christian businessman from Hot springs, Arkansas. John Webb served as the first president of the organization and continued in that position until his death in 1946. The first annual session of the Laymen’s Movement was held September 10-15, 1924 in Nashville, Tennessee. The second annual session was held September 10-11, 1925 at the Enon Baptist church in Baltimore, Maryland. At the end of the second session twenty-five laymen, five ministers and five persons representing other church organizations had been official registrants. His Vice President-at-Large Brother J.C. McClendon of Jackson, Mississippi, succeeded John L. Webb. After serving six years he was succeeded by his Vice President-at-Large, Brother Allen Jordan of Brooklyn, New York. In the annual session of 1971 in Cleveland, Ohio, Jordan turned the reins over the his Vice President-at-Large, Deacon Walter Cade, Jr. of Kansas City, Kansas. During the tenure of Walter Cade, Jr., many laymen ministries and programs were birthed. The Regional Workshop concept was started in 1971. The Allen Jordan Seminars for laymen was started in 1981 during the annual Congress of Christian Education. The Junior Laymen Basketball Tournament and Bible Bowl were started in 1981. The Junior Laymen’s convention was moved from the September session to the June session in 1981. The national laymen became involved in the Men’s Department of the World Baptist Alliance. The laymen made their first work-witness trip to Africa to repair the convention’s mission stations in 1976. Following Walter Cade, Jr. was Jerry Gash of Los Angeles, California. Under Jerry Gash’s leadership he initiated the process of membership to identify the active laymen in the movement. He started the Male Chorus Sing-off and two mission projects for Africa, 25,000 pairs of shoes and 75,000 school supplies. Jerry Gash started the Southern Region Workshop in 1997. Glen Chelf of New Mexico served on an interim basis in 2000. Harold Simmons of Kansas City, Kansas was appointed president of the Laymen’s Movement by Dr. William Shaw in 2000 to succeed Glen Chelf. Organized a council of the state laymen presidents to review laymen programs and ministries to make recommendations for improvement. Instituted Youth Night on Friday night in all Walter Cade, Jr. Regional Workshops to highlight the gifts and talents of the youth in the host state and region. Created a website to host laymen information and give membership access to that information. Instituted National Laymen initiatives focused around four themes to address specific needs in our churches and communities. Appointed Kelvin Mitchell, Oklahoma, chairman of the Audio/Video/Sound Ministry to add video to the audio tape ministry. To establish a library of all laymen sessions recorded by the ministry. Instituted a Memorial Period during the laymen’s session at the annual September meeting to recognize and give remembrance to local, district, state and national laymen who have passed on since the last annual session and their family members. Sponsored and hosted a summit meeting of national officers, ministry leaders and state presidents in Kansas City, MO, December 10, 2004. The State President’s Advisory Council promoted and sponsored the first laymen’s fellowship cruise. 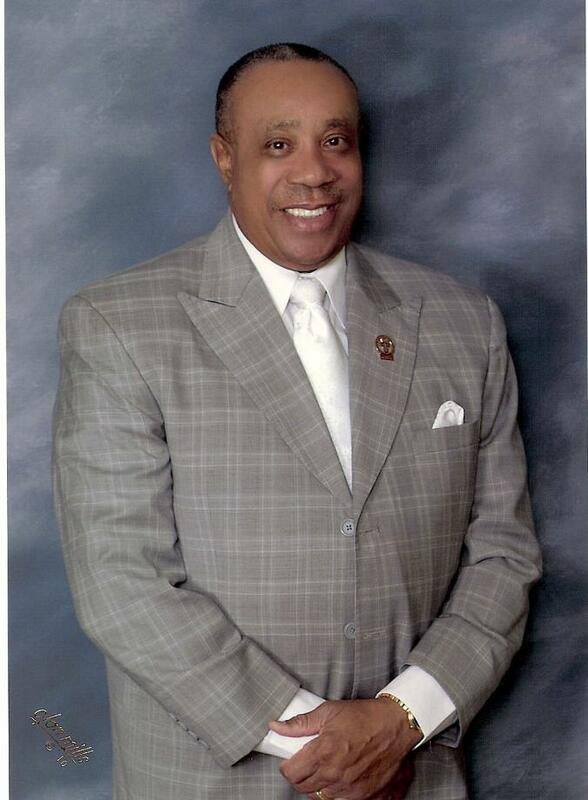 Earl Granberry, Chairman. Since the beginning we’ve had seven more fellowship cruises. Organized several mission trips to the Gulf coast states affected by hurricane Katrina. Coordinated efforts in raising money, supplies and teams of workers to assist in the recovery of person’s homes. Sponsored a special program at the June Congress, Baltimore, MD, to recognize the 25 year anniversary of the bible bowl. Invited past bible bowl winners to the session to help celebrate the milestone. Instituted classes to enhance men in their work and ministries at the regional workshop level. Established the Acts of Kindness Ministry to solicit clothing, toiletries and other personal care items from the National Laymen family, friends and supporters to be donated to those in need in the city where the convention is convening at the various laymen outreach ministries. Appointed Dr. Ken Harris from Arkansas as the director of a male chorus to sing at the Annual Session each year. Established a Medical Relief Ministry to solicit health care professionals to work with the laymen outreach ministries to provide various health screenings and other care. Richard Stanard was appointed chairman due to the effort he coordinated in bringing health care professionals to work in New Orleans for the victims of Hurricane Katrina. Established at the Mid-Winter Board meeting the Stop the Violence/Stop the Madness Ministry. This ministry had been established by Dr. Ternae Jordan in Memphis, TN and other cities. The laymen will establish chapters in other cities with laymen giving leadership to address crime and other problems that plaque the urban core of our cities. Established a ministry to assist young men that are transitioning from the criminal justice system. Willie Bob Johnson, Omaha, NE was appointed chairman. Conducted the first medical Mission Ministry at a National Laymen session on June 23, 2009 in Detroit, MI. A free health clinic comprised of Detroit area volunteers in the medical profession was held. Screenings for diabetes, cholesterol and high blood pressure was conducted. Information was distributed on physical fitness, cancer awareness prevention and other treatment opportunities. Conducted a Barbershop Medical Health Ministry in Kansas City, MO, Kansas City, KS, Detroit, MI and other cities. Laymen in their respective city recruited health care professionals to go to local barbershops and perform high blood pressure and diabetes screenings. The concept was taken from Dr. Bill Reliford on his presentation at the Annual Session, September 10, 2010. Established a program designed by Donald Norcross, Dean of Men at Arkansas Baptist College, Little Rock, Arkansas that the laymen will implement across the country. The mission of the O.K. program is to facilitate partnerships between police agencies, educational institutions, students, community members, businesses and the faith community to provide needed services to high risk youth. Charlie Richmond, Jr., Whitehouse, TX was appointed as the laymen’s Foreign Mission chairman and to serve as a liaison to the parent-body Foreign Mission Department. Led a team to Nassau, Bahamas and other islands for evangelistic and outreach efforts in street evangelism, prison evangelism and shelter evangelism.